Hey ya'll and welcome back from a long holiday weekend! 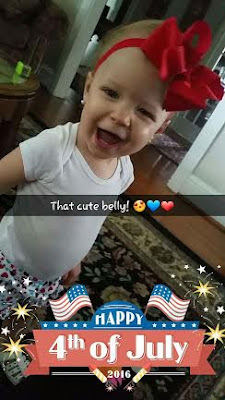 I hope everyone had a fabulous 4th! It was rainy here and still is actually...makes me want to stay in bed for sure. Also, I hope the rain doesn't stick around too long and delay the siding that is supposed to start this week. Today I want to share a bunch of randomness. 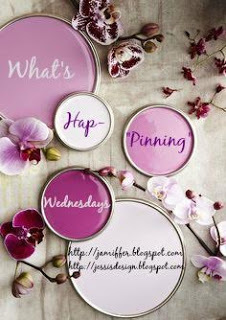 That's the beauty of What's Hap-Pinning Wednesday, you can link up with us and share whatever is on your mind! 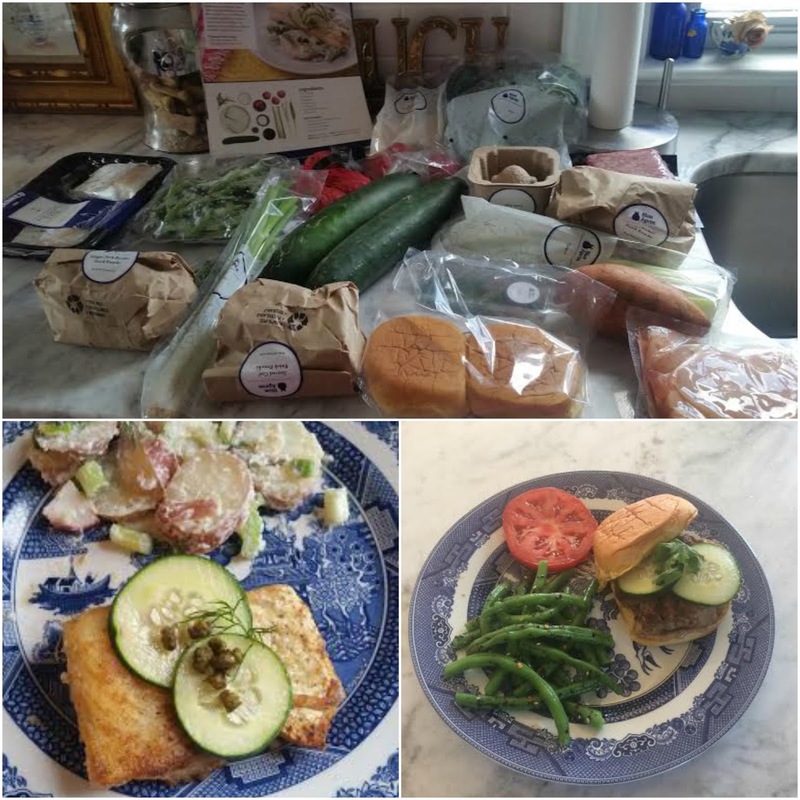 Last week we tried Blue Apron because honey had a coupon for 3 meals. I'd have to go ahead and say we absolutely loved it. We received the 3 meals promptly and everything was packaged so neatly. We had ginger pork burgers with black bean mayo and furikake-dressed green beans the first night. The second we had seared cod and potato salad with radishes, crispy capers and marinated cucumber. Lastly, we had fried chicken and kale slaw with roasted sweet potato wedges and spicy honey glaze. I would definitely recommend Blue Apron to anyone looking for new ideas and fresh ingredients! I'm only sorry I didn't take better pictures but everything was so good that it didn't last very long. 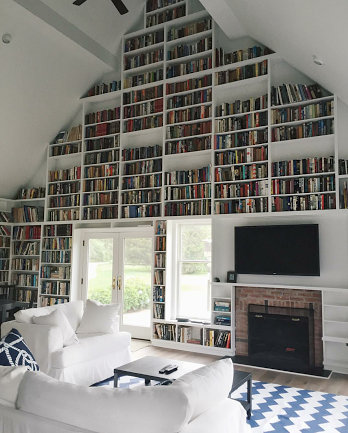 On the random pinning front, I've found a library I need to put into my home, my dream living room from a home in Charleston with lots of exposed brick and Blake Lively (of course) killing it on the baby #2 style front. Speaking of Blake Lively, honey and I are ONE episode away from finishing Gossip Girl. I'm sort of sad! I love our little Upper Eastside binge obsession...no spoilers, we're only 5 years behind! and of course, another sweet Miss A picture with her sissy! Happy Wednesday ya'll! 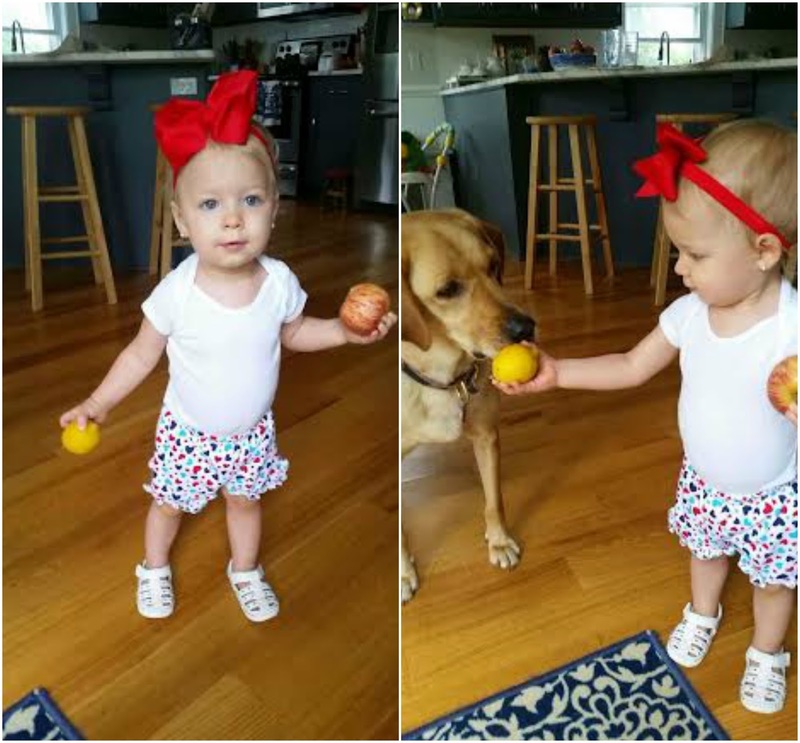 Oh Andi--her little belly, and that cute face! Love it! Hoping that it's sunny where you are today--we have it up here! Love those living room pins--so pretty! What a cutie! Love her smile! I've been seeing a lot of Blue Apron lately, and I have to say...it's rather tempting! That library!!!! It's like Beauty and the Beast! Lol. I need! I need to try blue apron, I think we would love it!!! And LOVE miss a! We have been stuck with rain and ick for too long here - hope it clears off for you guys soon! 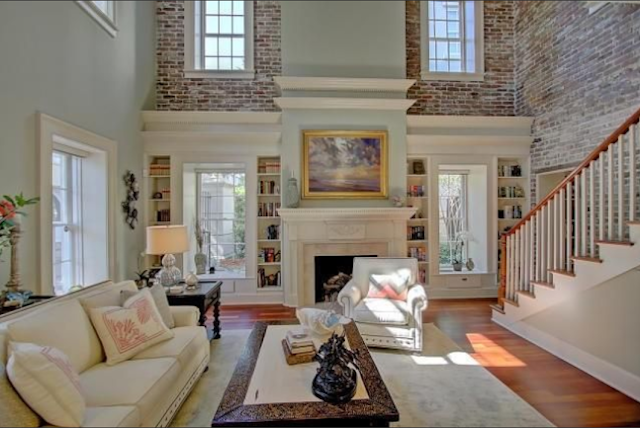 That library with some exposed brick would be my dream place, too! Your meals sounds delicious! We've been considering checking them out too! She is too cute! That library is sooo amazing! blake lively is flawless! seriously, she looks fabulous. and yes, i need that library. good to hear you loved blue apron, all of those meals sound amazing. i haven't tried it yet, but i have wanted to! I hope the new siding is going well this week! I love that brick exposed look! So pretty! Andi and her sis are the cutest little duo! I wish we had a dog that was that good with Remi! OMG I just started the 4th season of GG and it's finally getting better - so much drama!! I've heard bits and pieces of what happens so I'm super interested to see how it all gets there!